We are in eat-down mode since we are heading off to the East coast tomorrow. 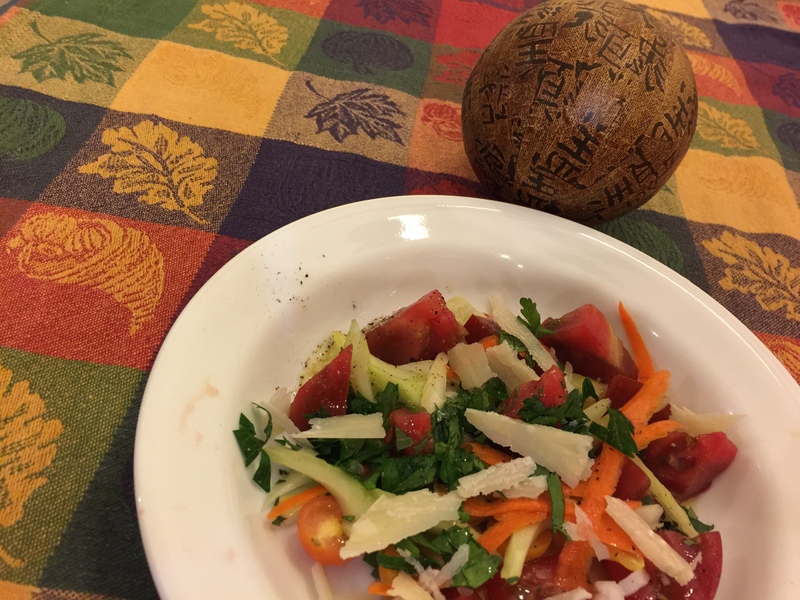 Our daughter has picked her final produce and I used some of it in a salad. We ate this interesting spaghetti regati from Barilla tonight. The pasta is striated strands and is kind of square shaped. Due to its increased surface area it cooks in only 6 minutes! Our sauce was doctored spaghetti sauce from a jar and some frozen meatballs. 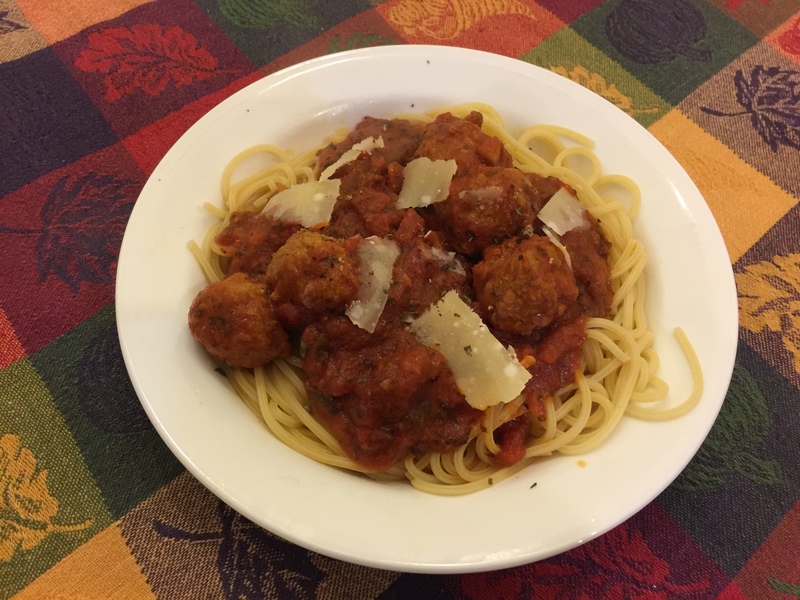 This entry was posted in Beef, Pasta, Vegetables and tagged meatballs, pasta, Salad. Bookmark the permalink.